We believe in God the great I Am, who created everything in heaven and on earth, including human beings, Father, Son, and Holy Spirit, God in three persons. We believe in the deity of Jesus Christ, God’s only begotten Son, born of the Virgin Mary by the Holy Spirit, being nailed and died on the cross to atone the sin of the world. He was resurrected from the dead, ascended into heaven, sitting at the right hand of the Most High, and will come back to judge the whole world. We believe in the deity of the Holy Spirit. His work is to regenerate, sanctify and dwell in the hearts of the believers for teaching and ministry. We believe in the inspiration and infallibility of the Bible as the Word of God and the only trustworthy guide of Christian faith and life. We believe in the salvation by grace through faith in the Lord Jesus Christ. Every believer should be baptized to confess his faith, non-conformity to the world, and the practice of a scriptural discipline. We believe that Christ is the head of the Church, and the Church is the body of Christ, the household of God, including all born again believers. 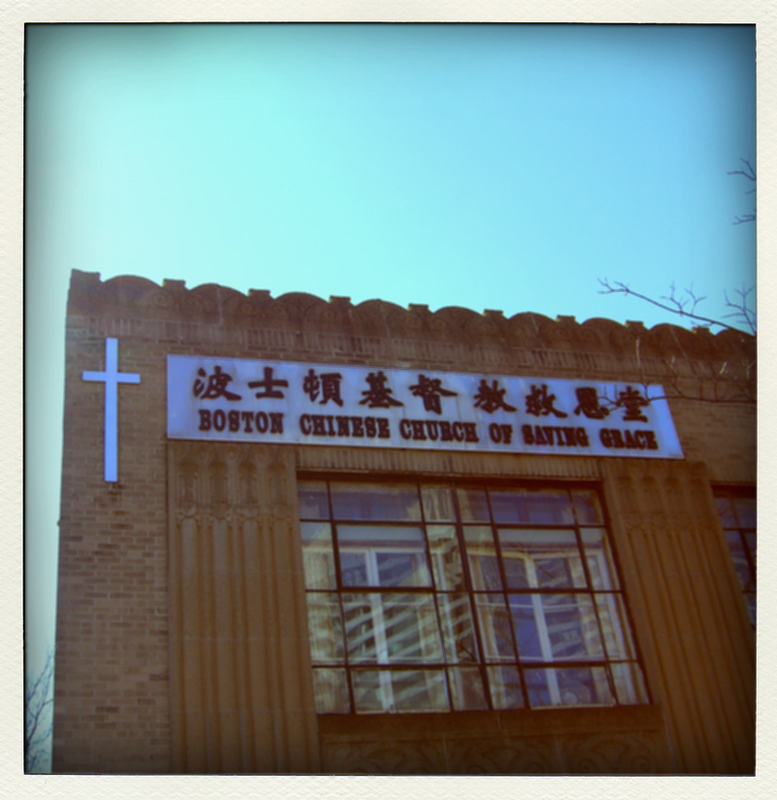 Boston Chinese Church of Saving Grace was founded by Rev. and Mrs. Kenson Ho in August, 1985. On October 20 (Lord’s Day), of the same year, we held our first worship service in the facility of the Church of All Nations on Tremont Street, thus officially declared the birth of BCCSG. We met in the same facility for nine years until we moved into this building on October 9, 1994. In the year of 1986, BCCSG established her first Deacon Board. Deacons were elected to help the pastor to promote the church ministries. Every board member is elected in a democratic way.